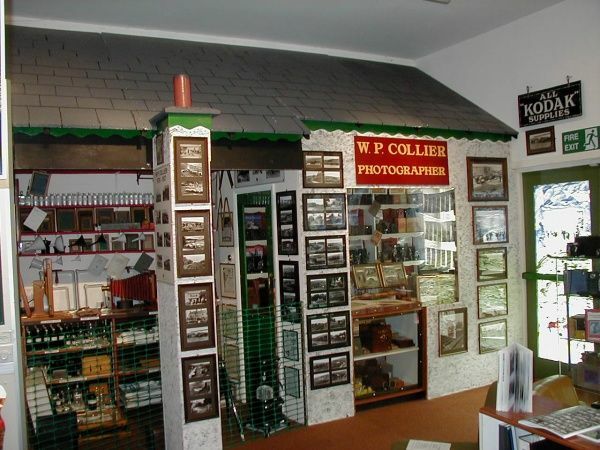 Located in the village of Bellingham within 30 minutes travelling time of Kielder, this small award winning Heritage Centre and museum houses artefacts, photographs, maps, drawings and memorabilia recording the history and traditions of the North Tyne and Redesdale. The Heritage Centre tells the stories of the people of the North Tyne and Rede Valleys through text imagery sound and of course objects. Our displays present the social agricultural history of the area as well as a small section about the earlier Border Reivers. An additional attraction is the Carriages Tearoom which is within the Station Yard and housed in two 1957 MK1 railway carriages. All of the scones cakes are homemade and cooked on the train. The Heritage Centre is able to accommodate groups of up to 50 people (advanced booking is required as this is a volunteer led museum). There is coach parking and disabled facilities. Group visits can be organised outside of the usual season by special arrangement. Please contact the Heritage Centre for current Group discount rates.